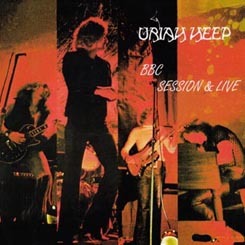 Two separate BBC Sessions were recorded to promote the release of Look At Yourself. Three tracks were recorded in the first of these sessions in May 1971. No existing recordings of these tracks have been located to date. Three additional songs were recorded in Maida Vale's Studio 4 on October 20, 1971. Look At Yourself, What Should Be Done and July Morning were recorded for Mike Harding's Sounds of the Seventies Show and they originally aired on October 28, 1971. Recordings of only the first two of these songs have been located thus far. They have been included on bootlegs of BBC & Live and Magic Night. Plus they have been recovered and remasted on the latest re-remaster release of Look At Yourself for official release.